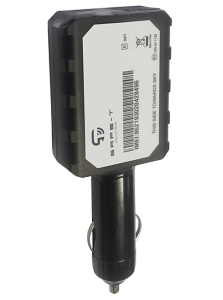 The SCOUT 2 UNIT is a powerful GPS/GSM locator designed for tracking assets. The unique ability of the SCOUT 2 UNIT to charge in a cigarette charger ensures that the device is perfect for long distance travelling. Install the device by simply plugging it into your cigarette charger. Its built-in 3-axis accelerometer allows for motion detection, crash alerts and an optional power-saving mode triggered by motion. The SCOUT 2 UNIT is CE certified. Notifications concerning company protocols such as overspeeding and driving after hours straight to your portal.These can be filtered to our operations center for quick response. Downloadable reports for records such as speed and incidents. Our online mapping facilities are especially useful for our corporate clients who wish to keep tabs on their assets. Quality help from Truck Assist technicians should you have any problems with the software or devices. Due to the device’s ability to draw power from your vehicle you can ensure that the device stays on 24/7.